I’ve had CJ Carver as a guest on the blog before and I’m delighted to welcome her back for a second appearance. CJ has a new book, the follow-up to her fantastic Spare Me The Truth. It’s called Tell Me a Lie – more of that later. First, CJ is here to talk about the reality behind the fiction and how the culture of a country influences the story. For a thriller writer, Russia has everything you could possibly want. Spies, oligarchs, corrupt officials, gulags, the FSB and vodka. Lots of vodka. Which is why, when my character Jay McCaulay in Back with Vengeance awakes in a Moscow hotel with no idea how she got there, she initially blames her memory loss on the vodka. I’m fascinated by Russia. I visited Moscow during its dissolution in the early nineties. I met with factory workers in Samara and farmers in Bishkek. I learned that the people chain smoke, that they’re flashy and love their bling. They’re deep thinkers and blunt to the point of rudeness, but more interestingly, they’re passionate and fiercely loyal to their country. And so, the beautiful Ekaterina Datsik was born in Tell Me a Lie. She’s a combination of all the Russians I met, good and bad, generous and mean, which makes her the perfect enigmatic foil against Dan Forrester’s quest for the truth. The plot for Tell Me a Lie is driven by Russia’s culture. The peoples need for a great leader even if he (never a she) imprisons, exiles or executes millions of people without due process. Look at President Putin. He’s a ruthless, cold-blooded, corrupt ex-KBG officer but the majority of Russian’s revere him for being a “strong man” thanks to being brainwashed by the media. I always play the “what if?” game when plotting a new book. And with Tell Mea Lie I wondered: what if the people found out about Putin’s media manipulation? His siphoning off billions into his and his cronies’ accounts in the Cayman Islands? Would they rise up against the government officials like they did against the Tsars and tear down their dachas, kill them? As I said, Russia is fertile ground for a thriller writer. The land down under doesn’t just have sharks, deadly snakes and spiders, it has a dark and bloody history of their treatment of Aborigines, where over 100,000 children were taken from their families in the 1950s in an effort to try and “breed them white”. I didn’t set out to write about what is now called the stolen generation, but when my protagonist India Kane in Blood Junction starts looking for her roots, this ugly history begins to make itself known through an Aboriginal policeman who befriends her. I used it as a sub-plot, which enriches the story and hopefully informs as well as entertains. Australian culture is perceived to be barbecues on the beach, but there’s a nasty underbelly under all that golden sand. There’s political corruption, xenophobia and misogyny, all good fodder for novelists, but this is counterbalanced by the Aussies immense generosity, forged from surviving the outback perhaps, or even their convict history. The culture of a nation isn’t just defined by the social behavior of its people, but by its arts and psychology, and its history, and when I delve into each, a plethora of plots and sub-plots appear until I’m clutching my head wondering which to choose. 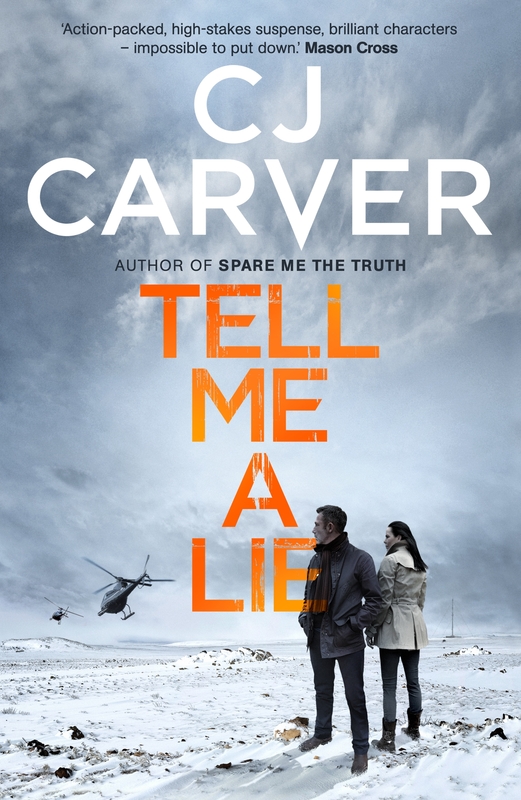 From acclaimed and award-winning author CJ Carver, this is the next gripping international thriller in her brilliant Dan Forrester series.